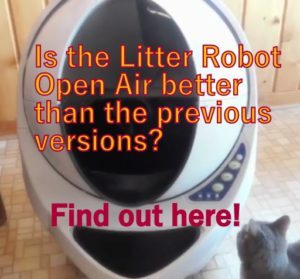 If you are looking for an automatic cat feeder, it’s a big mistake to select one based on price. 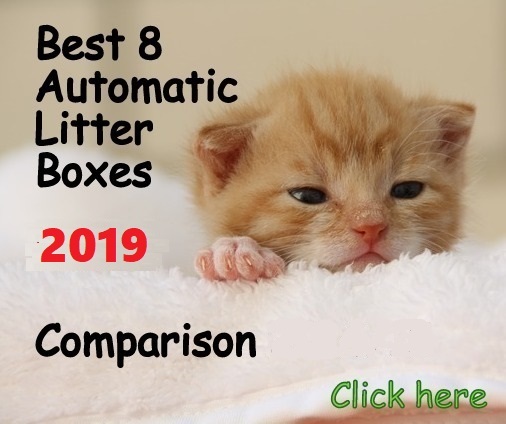 A high-priced automatic pet feeder is not necessarily a good one and on the contrary, some low priced auto feeders perform really well. 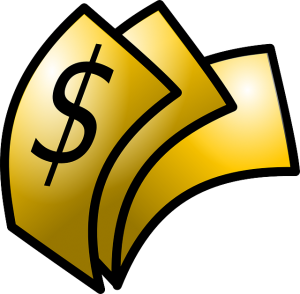 If you buy a high priced feeder it may be really good and worth the money you pay for it, but depending on which one you buy, you may also be regretting your purchase if not getting the right one. I recommend you investigate criteria other than the price, such as reliable reviews, warranty and quality of the materials to name some. There are important tips and features you must consider before purchasing any automatic feeder. 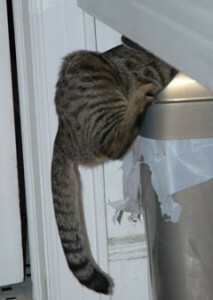 This is another typical mistake when buying automatic cat feeders. The dispensing accuracy of a given feeder will depend on: the kibble size you feed your cat and the type of mechanism the feeder has to dispense. Some devices work with a screw type mechanism to push the food out, and in order to dispense small portions the pellet size has to be big (1/2” diameter). If you feed your cat small pellets (1/4” diameter or less) the accuracy won’t be the same and you will be overfeeding your cat. 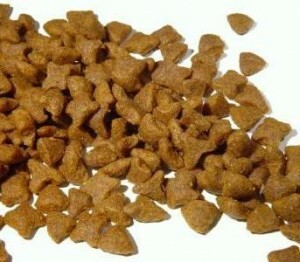 It is important to consider the kibble size and the type of dispensing mechanism in order to get the best accuracy. You forgot to put fresh batteries in the unit and it stopped working. If it works with an AC adapter, you didn’t put the cable in the right position and your cat unplugged it while walking around. The automatic feeder wasn’t programmed correctly and it jumped one feeding cycle while you were away. Your cat tried to break into the feeder and tipped it over or figured out a way to eat all the food at once. This usually happens when we don’t consider the following point number 4. This is important because no automatic cat feeder is perfect if your cat is smart enough or very determined to get extra food from it. Some people underestimate cats ability and ingenuity. Cats are very unique and versatile animals so when it comes to buying an automatic feeder for your pet, you have to consider that there is a small but real risk of your cat trying to break into the feeder. Cats are usually very obsessed with food and you will have to educate your cat to respect the automatic feeder from the outset and discourage it from trying to get extra food from it. Breeds like the Bengal or Siamese, could be more aggressive at trying to get food than other breeds, but this isn’t 100% the general rule. Any cat could try to break into the feeder. To give you an idea, if your cat is able to open doors, jump on tables to get food or manipulate things in general with his paws, then you might need to pay special attention and look for a cat-proof automatic feeder with extra protection. This is a common problem among cat owners. People think they will save money using rechargeable batteries so they purchase a battery powered automatic feeder. What happens is that these devices don’t work with rechargeable batteries and even further, they usually work only with brand new alkaline batteries for a guaranteed performance. If you like to use rechargeable batteries for all your devices, know that auto feeders are the exception in this case. All in all, you shouldn’t worry about having to buy alkaline batteries to make the automatic feeder work. Batteries usually last about 1 year on average with auto feeders. To facilitate you the job on finding the best device considering all these points, I created a Comparison Chart that will help you to decide between different brands confronting each other on these criteria. If you travel it’s highly recommended to ask somebody to check on your four-legged furry friend every other day or so to make sure it will be OK. 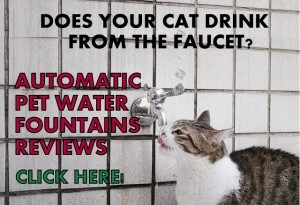 If you keep in mind these 5 simple points, you will buy the best automatic cat feeder for your pet without any regret. My sister has 3 outside cats who eat twice a day. Is there a good outside feeder which can be secured against other animals…possibly a raccoon? Not sure if she uses wet or dry food. Thanks. Hello Jo, thanks for your question. If your sister has 3 outdoor cats she has to make sure to get an automatic feeder with a big hopper and also with the ability to dispense food several times a day (at least 6 times) with few amounts of food at a time so they have access to food all day without getting too much food each one.This is essential in outdoor cats since they are all day in activity and their needs are different than indoor cats. Your sister will have to build a special customized solution to the feeder as well, to protect it against the weather and animals. The best option for your sister is the Super Feeder which can be adapted to outdoors and the combo comes with a big hopper. See here good examples of how customers found good solutions to setup the Super Feeder outdoor and protect it against the weather and raccoons. Hope I could help your sister. Good luck! 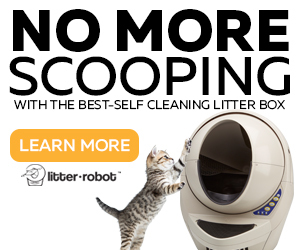 Hello, I’ve been reading the reviews but can’t decide what the best feeder would be for my cat. Hopefully someone can help. My cat is in her ideal weight (apparentely she used to be overweight before I adopted her). Is totally obssesed with food and is very good at getting food with her paws (she loves puzzle feeders). I usually feed her myself and have no trouble doing so, she eats twice a day but some days I work late so I need a feeder I can program to feed her dinner. She eats Royal Canin young female, which are small kibbles so I need a feeder that works for those. Also, every now and then I’ll be out for a weekend or a night so I would like a feeder that can feed at least 3-4 meals. 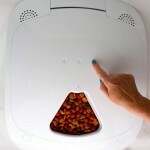 Hello Camila, for what I’ve read the best automatic cat feeder for your cat is the Super Feeder because it has a screwed lid so your cat cannot get extra food with her paws, it can be mounted on a wall if necessary and its accuracy is the best with kibbles such as Royal Canin Young female. This feeder can be programmed to feed your cat up to 8 times a day and you can program it ahead up to 7 days of the week, in selective days if you want. 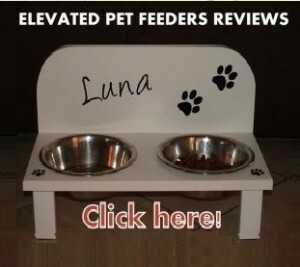 Check my review of this feeder here. It looks like a great option, but it is quite expensive. I think it is worth to save some money and wait for someone to go to the US to get it though as what I’ve found in my country have bad reviews if you use small pellets. 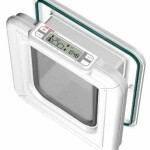 The Super Feeder has to be programmed to dispense food by setting a period of time for the feeder to release food and not portions so if you get too much food because the pellet is small, just adjust less time of the feeder releasing food. I did not know you were not from the USA and that is important because the Super Feeder may not work in European countries or any country using 220V, you have to contact the supplier directly, you cannot buy it online or without contacting the supplier first. If you are from Canada, no problem and it is a good idea to save shipping costs. 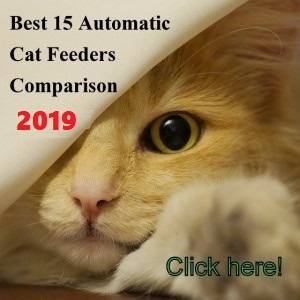 This feeder is a little pricey as I stated on the Cons of my review but you will enjoy a reliable feeder that will give you peace of mind which is what finally cat owners are looking for. 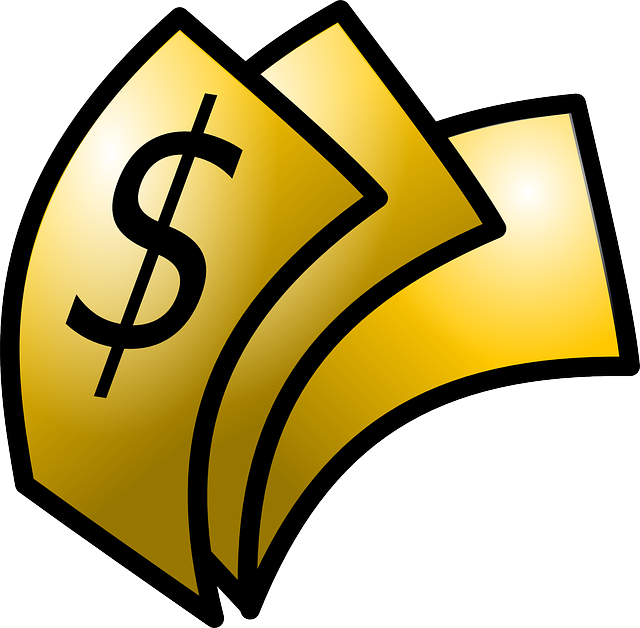 You can always choose less expensive options and check their Pros and Cons to get the best value for money. Thanks for your comment Camila! 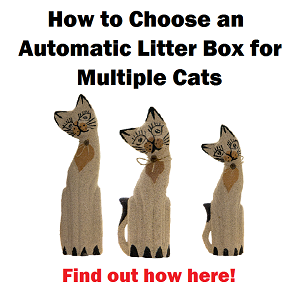 Do you have any tips or resources on the best ways to train a cat how to use one of these auto feeders? I have a 5 meal feeder that will go off throughout the night to keep my diabetic cat satisfied but I am not sure how to acclimate him to the change. He is blind, so that doesnt help matters much. Hello Jen, I am pretty sure your cat won’t have any problem finding the meal when time to eat. My rescued cat Lily used to be blind when she was a kitten and she developed a great sense of smell, almost unbelievable, better than a dog. As soon as the feeder rotates or flips revealing the food (if dish type feeder) or dispense the food (if dry food feeder) your cat will know it’s time to eat. In the first case your cat will know where the food is due to its strong yummy smell (if wet food) and in the second case your cat will hear the sound of the kibble falling onto the bowl. I suggest you to place the feeder in the same exact place your cat had the food bowl. Good luck!